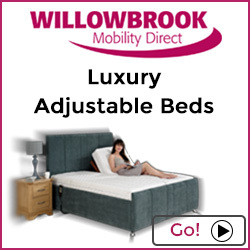 Willowbrook Mobility Direct are in their 20th year of providing innovative mobility solutions ranging from quality British-made Riser Recliner Chairs, Adjustable Beds and Bath Lifts that really do make a difference to people’s lives. Unlike many other providers, they are proud to be able to build your electric chair or electric bed in their very own UK Factory. Being leaders in our field thanks to extensive investment in the best equipment and materials, our high levels of customer service and quality mobility products. We are here to improve your independence and lifestyle in and out of your home.